I have currently medical coverage as required by Obamacare. I will be leaving USA for 4 months on extended vacation and I know that I need to purchase insurance in another country since my coverage is only valid in USA. Can I suspend my medical coverage for the time I spent abroad since it does not provide me with any benefits while I am outside USA? I just checked with my contact at Covered Ca and they said that you would have to maintain your coverage while you’re gone for 4 months. If you choose not to, you will be subject to a penalty and may not be able to enroll in insurance until January 1st. You would have to be out of the country for 330 days or 3 months or less to qualify. If you were out of the country for 330 days, when you return you have a qualifying event to enroll. If you were out of the country for 3 months, you may not have a qualifying event to enroll. Hope this helps! 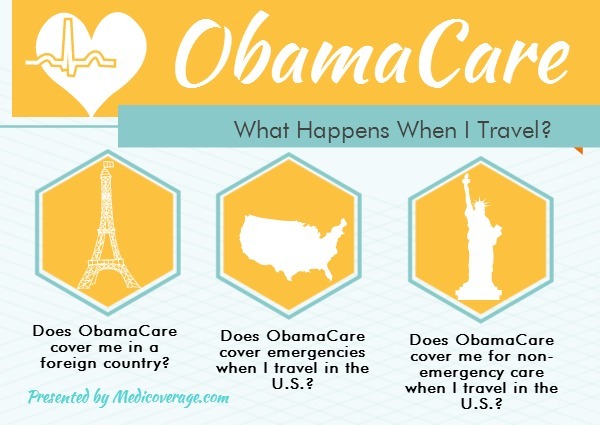 Does “Obama Care” insurance include coverage for American students studying abroad? (for example: on a Semester abroad program, or on a year long study program). Thank you. Obamacare plans do not offer international health coverage. You will want to contact the company you are working with to study abroad, and they should put you in touch with the right insurance. I am looking to start travel nursing with in the usa, what plan would you recommend I obtain? My primary resifence will be ny. I plan to go to tx, ca, and ak. There may be an insurance company that will offer nationwide coverage, however without knowing additional information about you we wouldn’t be able to suggest a plan. Please call 800-930-7956 to speak to an agent who may help you find the right plan for you.